Dengue is caused by mosquitoes. For those who read my blog regularly, I am gonna reveal a secret now. I had a pet mosquito called Namitha. She was the creator of the deadly disease Dengue. Dengue is the Insect version of Bird flu. How the Dengue disease spread? Namitha was rescued by me when I found her in a pool of blood. Apparently she had tried to bite my friend who in turn attacked her with his palms. I took her from the pool of blood, applied dettol on her wounds, and nursed her and she was back to normal within a week. As Namitha was a glamorous mosquito, all the romeo mosquitoes tried to woo her. But she had loads of attitude and she never fell for any guy. Even though she tried her level best to stay away from guys, the male mosquitoes in our locality tried different stunts to get the attention of Namitha. Show Rock Khan was one such mosquito. He was the only mosquito with six packs. Though he was old, he was from Africa and legend has a belief that Indian girl mosquitoes liked African Male mosquitoes. Namitha was drawn towards Show Rock Khan. I found that they were in love when I saw them coochy cooching near the window in my house. I warned Namitha and told her not to trust all guys and I also told her that all guys were after her body. But she was blinded by her love for Show Rock Khan. One day Namitha decided to elope with Show Rock Khan. I over heard their conversation. Yes it is wrong to eavesdrop. But I was possessive about Namitha and I did not want Show Rock to misuse her innocence. They had planned to fly away from my house in the night after I switch off the light. Namitha had the habit of whispering sweet nothings in my ears every night with a koiiiiiiinnnnnggggg sound. Once she does that, I would go to sleep. That night she decided to elope after singing in my ears. I knew that was the last koiiiiinnnnnnggggg sound that I am gonna hear from her. It was heart breaking for me. I tried to control my tears, but I failed. Namitha flew away with Show rock khan. He did not marry her; but gave her 324 babies. He deserted her and started living with another mosquito. Namitha found it difficult to take care of the babies. She also decided to take revenge on all the male mosquitoes. She went on a killing spree and she hired the ranguski mosquito (The mosquito which acted in the movie Robot). Along with Ranguski mosquito, Namitha went on a killing spree. She became very notorious and she became the poolan devi of the mosquito world. In the mean time Namitha showed symptoms of a dreaded disease that was never heard of before. The disease was so bad that it even had the power to kill human beings. 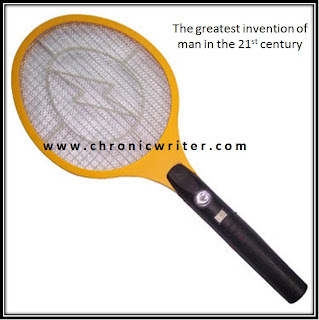 Later human beings gave a name to that disease and called it Dengue. Namitha died in the early hours of a sunday morning near my pillow. She came back to me and she took a vow never to bite me (The only guy she trusted in her life). I miss that koinnnnnnnngggg sound these days. Many other mosquitoes still sing in my ears. You would have heard that koinnnnngggggg sound too. But none of these voices can be compared to that honey melting voice that Namitha had. Today when ever I kill a mosquito with a mosquito bat, I always remember Namitha. She never ever bit me. If only all the mosquitoes were like Namitha, the world would be a better place to live in.